K9s for Warriors is a non-profit organisation which pairs veterans with dogs rescued from kill shelters. Shelter dogs are gaining a new leash on life from U.S. military veterans. 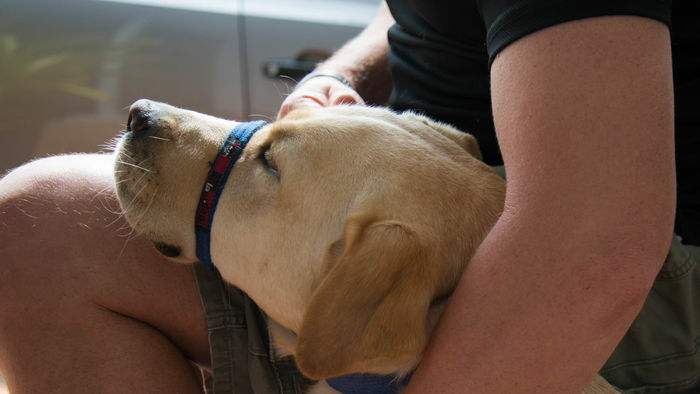 K9s For Warriors, an organization based in Ponte Vedra Beach, Florida, is pairing shelter dogs with veterans coping with post-traumatic stress disorder (PTSD) and traumatic injuries. The group rescues dogs, mostly from kill shelters, and trains them as service canines to live with struggling veterans, which helps them and their families’ transition back to civilian life. Other service members and their families have been able to adopt military working dogs. At the height of the Iraq and Afghanistan wars, about 2,500 military working dogs were trained to detect improvised explosive devices (IEDs). Former handlers and in rare instances, their families, have been allowed to adopt these hero dogs. 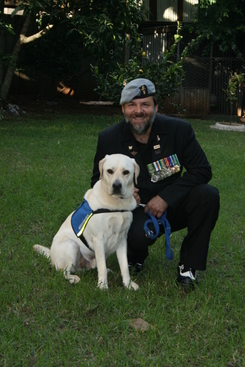 Closer to home, Assistance Dogs Australia has also been working with sufferers of post-traumatic stress disorder (PTSD), in line with mounting fact-based evidence on the benefits of Assistance Dogs for returned servicemen, women or veterans. 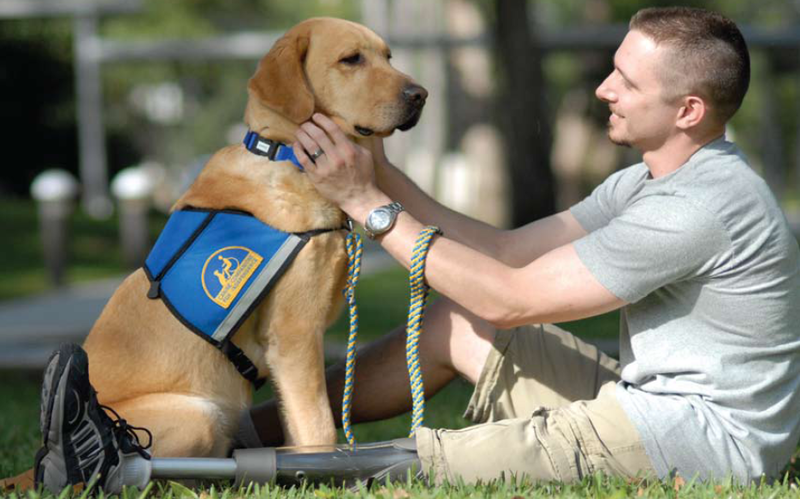 Assistance Dogs can be trained to provide a combination of physical task-oriented and emotional support to assist their owner and help them to overcome fears. Assistance Dogs placed with PTSD sufferers can be trained to pick up on their owner’s emotions, and can detect signals of anxiety. Upon sensing their owners anxiety, the dog engages in eye contact and body contact to comfort their owner and divert their attention. “Block” directs the dog to stand in front of their owner offering a barrier and space . “Behind” tells the dog to position itself behind their owner, a technique known as “posting” which helps to ease hyper-awareness, the feeling of being constantly on edge. “Lights” signals for the dog to enter a room before the owner and turn on the lights so they don’t have to enter a dark space. “Sweep” is the cue for the dog to enter a room or house and sweep it for people or intruders, alerting its owner by barking. After serving in the armed forces for 18 years, both at home and abroad, Stephane was diagnosed with post-traumatic stress disorder (PTSD). After being matched with Veo, Stephane has told us how his life has changed, and continues to change each day they are together. Veo has had an impact on not only Stephane, but the whole family too.